Fort Smith Attorney Brandon Harrison, a former law clerk to U.S. District Judge D.P. Marshall Jr., has officially announced his candidacy for Arkansas Court of Appeals, District 4, Position 1. Currently Judge John Robbins holds that position, but plans to retire in 2012. Harrison, a published legal writer, is currently a practicing attorney at his own firm in Fort Smith, concentrating on civil and criminal appeals and civil litigation. 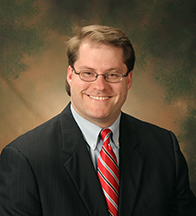 Mr. Harrison has been published in The Arkansas Lawyer, the Arkansas Law Review, and the newsletter of the Pretrial Practice and Discovery Committee of the American Bar Association, and he also authored a chapter of the Arkansas Bar Association’s Handling Appeals in Arkansas. Harrison’s Press Release is available here. Circuit Court Judge Looney of Mena has also announced his candidacy for District 4, Position 1. UPDATE: Attorney Brandon Harrison’s announcement letter to attorneys in his district is attached here.